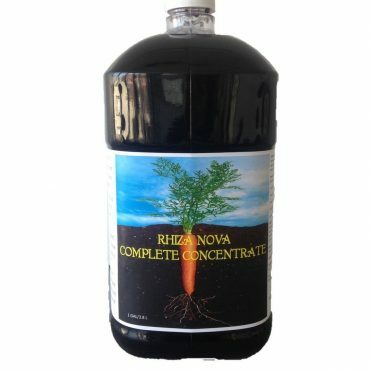 Rhiza Nova Complete Concentrate contains Purple Non Sulfur Bacteria as well as Plant Growth Promoting Rhizobacteria concentrated with humiv and fulvic acid. Directions: SHAKE WELL! In hydroponics and aquaponics add 16oz per 100 gallons every 15-30 days or at water change. In soil dilute 1 gallon with enough water to cover 1 acre or 1oz per gallon of water used every 14-21 day. Safety: Keep out of reach of children. Do not ingest. If swallowed, induce vomiting if advised to do so by a physician. May cause eye irritation. If eye contact is made, flush eyes with clean, clear water. Safe: Product does not require special PPE for handling or application. Treated area does not have any re-entry restrictions. 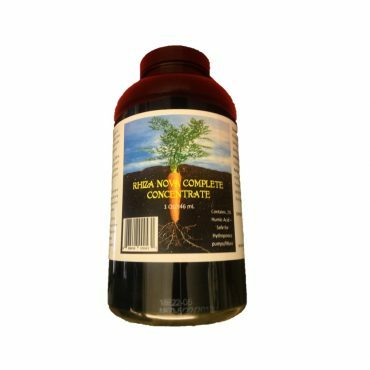 Nontoxic: Product does not contain any hazardous substances. Consumption of this product is not advised.